Thousands of years ago God gave his people, the Israelites, a set of rules to live by. The rules showed the Israelites how God wanted them to live. People call these rules the Ten Commandments. When the Israelites followed the rules they lived God's way. Why did God's people find it so hard to follow the Ten Commandments? The Bible teaches that thousands of years ago God gave his people, the Israelites, a set of rules to live by. The rules showed the Israelites how God wanted them to live. When the Israelites followed the rules they lived God's way. However God's people soon discovered that on their own they could not keep the rules; they kept on making mistakes and getting things wrong. God's rules showed the Israelites where they were making mistakes and getting things wrong but the rules themselves didn't actually change the way they were living. People who study the Bible teach that just trying to follow God's rules is like looking in a mirror. A mirror can show something is wrong, but it can't help put it right - it can show your face is dirty but it can't wash away the dirt. The rules not only showed the Israelites how God wanted them to live, they showed them they needed God's help to live his way. Why do Christians still find the Ten Commandments helpful? Christians believe the Ten Commandments still show how God wants people to live today. The Bible teaches that when Jesus lived with people he talked about the Ten Commandments. He said the commandments are about two main things, loving God and loving others. If we were to look closely at the Ten Commandments we would discover there are two types of rules: rules about loving God and rules about loving people. Christians believe Jesus wanted people to understand that by loving God and loving others they would be able to follow all the commandments; they would be able to live God's way. What does it mean to live God's way? Christians believe that living God's way is about doing two main things: ‘loving God’ and ‘loving others’. You can remember these two things with a couple of simple actions. Hold your right hand in front of you with your fist clenched and your thumb pointing upwards (as if giving a thumbs-up). Your thumb is pointing up to God. This is a reminder that the Bible teaches that loving God is the most important thing of all. 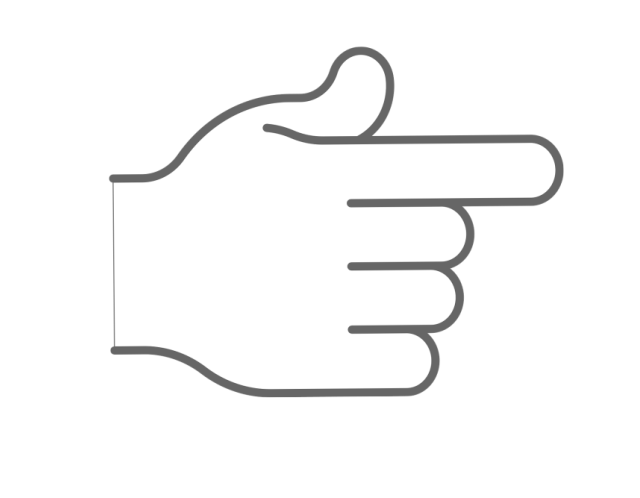 Now keep your thumb pointing up but also point your index finger as if pointing at someone in front of you. Pointing this finger is a reminder that the Bible teaches that loving other people in the same way we love ourselves is important too. Move your hand around as if pointing at other people. Hold both hands out in front of you. With your right hand make a thumbs-up sign. With your left hand point your index finger away from yourself. Now try and swap so that you are making a thumbs-up sign with your left hand and pointing your right index finger. This is much harder than it sounds and to keep alternating between the two is almost impossible. Why do Christians choose to live God's way? 1. Because they believe it's the way they were created to live. Christians believe it feels right to live God's way because it's the way they were created to live. Christians believe living God's way is the greatest way they could possibly live. 2. Christians love God and others in response to God's great love. Christians are deeply grateful for God's great love towards them and trust that he will only ask them to do things which are good and right for them and others. The Bible teaches that the Holy Spirit has poured God's love into the hearts of his people. Christians believe they are changed by God's love and more and more his love helps them to love him and others. Why are Christians sometimes called followers or disciples of Jesus? A disciple is someone who follows another person. 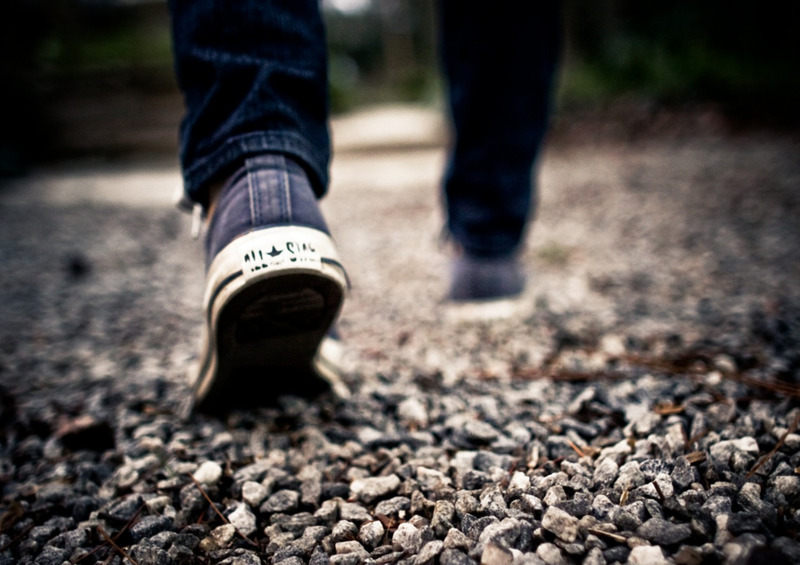 Disciples try to become more and more like the person they are following. The Bible tells us that the twelve disciples we read about in the Gospels, watched and learnt from Jesus; they tried to live the way he lived and do the things he taught. They wanted to think, feel and live like him. The Bible shows us that the disciples were learners - they were learning to be more like Jesus. Sometimes they got things right and sometimes they got things wrong. Christians today are Jesus' disciples too. Like the first disciples they want to live the way Jesus lived and do the things he taught. They want to think, feel and live like him. On the Day of Pentecost the first disciples began to live more like Jesus than they had ever lived before; they began to think more like him, obey his commands, and more and more they began do the things that Jesus did. But why did the disciples become more like Jesus on the Day of Pentecost? The Bible teaches that on the Day of Pentecost the disciples were filled with the Holy Spirit. Christians believe that the Holy Spirit is ‘The Helper’, teacher and guide. From that day on the Holy Spirit helped the disciples in a powerful way; he worked in their lives changing them from the inside-out to become more and more like Jesus; to be more peaceful, patient and kind. As the Holy Spirit helped the disciples to become more like Jesus, more and more they are able to live God's way. Christians believe that the Holy Spirit still helps people today. Christians believe that in the same way the Holy Spirit helped the first disciples he helps them to follow Jesus; to be Jesus' disciples. Christians believe that the Holy Spirit helps, guides and changes people who have said ‘Yes’ to God's love and forgiveness; he changes them from the inside-out to be more like Jesus. Christians believe that each day the Holy Spirit helps millions of people around the world become more and more like Jesus so they can learn and grow to live God’s way, the way God created them to live. Another way to describe a disciple is ‘‘someone who has said ‘Yes’ to God's love and forgiveness and with the powerful help of the Holy Spirit is learning and growing to be like Jesus’’. Why do Christians want to be like Jesus? The Bible teaches that thousands of years ago God gave his people, the Israelites, a set of rules to live by. When the Israelites followed the rules they lived God's way. But God's people soon discovered that on their own they could not keep the rules; they kept on making mistakes and getting things wrong. Christians believe however, that there is one person who always lived God's way - that person is Jesus. When Jesus lived on earth he never did anything wrong; he always lived in a way that pleased God. 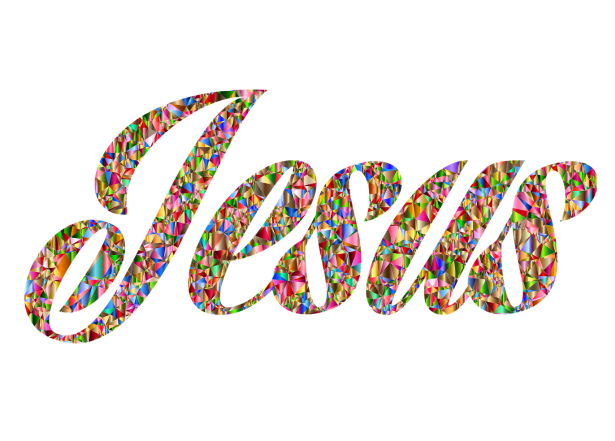 Jesus always loved God and others. The Bible teaches that Jesus showed people the perfect way to live. Today instead of trying hard to follow God's rules, Christians long to be like Jesus; to think, feel and live like him. Christians understand that by learning and growing to be like Jesus they will learn and grow to live God's way. But the Bible teaches that in the same way the Israelites found it impossible to keep following God's rules, without God's help Christians find it impossible to keep living like Jesus day after day. In fact the Bible teaches that it is only with the powerful help of the Holy Spirit that Christians can learn and grow to think, feel and live like Jesus. How does the Holy Spirit help Christians become more like Jesus? The Bible teaches that the Holy Spirit is ‘the Helper’. Another word for helper is ‘comforter’, ‘someone who comes alongside’. The Bible also says that the Holy Spirit is a teacher and guide. Christians believe the Holy Spirit comes alongside to teach and guide. They believe the Holy Spirit works in their lives changing them from the inside-out to become more and more like Jesus; to be more peaceful, patient and kind. As the Holy Spirit helps Christians become more like Jesus, more and more they are able to live God's way. How can a Christian invite the Holy Spirit to do more work in their lives? Remind the children that Christians believe they cannot make themselves like Jesus, only the Holy Spirit can make them more loving, more peaceful and more patient, like him. However Christians believe they can invite the Holy Spirit to do more and more work in their lives. The Bible teaches that as a Christian spends time with God – praying, reading their Bible, worshipping, serving others, meeting together and giving, the Holy Spirit is able to do more and more work in their lives; more and more he is able to change them from the inside-out to be like Jesus. Christians believe that as they spend time with God, more and more the fruit of the Spirit (love, joy, peace, patience…) will grow in their lives. Why do Christians believe the Holy Spirit works in their lives when they do these things? When Christians read their Bibles and meet together they hear about the great things God has done. When they pray, worship, serve and give they see him at work in their own lives and in the lives of others too. The Bible teaches that as Christians see and hear more of God's great love, wisdom and power their trust in him grows and grows and grows. As a Christian’s trust in God grows, they become closer and closer friends with him. Through their close friendship with God the Holy Spirit is able to work powerfully in their lives. Why do Christians believe it is important that they trust God? Christians believe that trusting God is an important part of their friendship with him. When Christians say they trust God they are saying they believe that what he says about himself, what he says about his love, what he says he has done and what he says he will do are all true. The Bible teaches that God is good powerful and wise, he loves everyone more than they can imagine, he has made a way for everybody, everywhere to become close friends with him and he will never leave those who trust in him on their own. Christians believe all these things are true. People who trust God live their lives depending on his help and guidance. People who trust God pray believing he will answer their prayers in the way they hope. People who trust God worship, thanking him for who he is and all he has done. People who trust God read their Bibles excited to discover more of his truths. People who trust God serve others aware of his great love for those around them. As a Christian’s trust in God grows, they become closer and closer friends with him. Through their close friendship with God, the Holy Spirit is able to do more and more work in their lives. What do Christians mean when they talk about depending on God? Day after day we depend on people - doctors, parents, teachers, shopkeepers, refuse collectors, postmen, and policemen. Each day we rely on these people to do things for us - to help us, teach us, care for us etc. Without them our lives would be very different. Christians believe that God longs for people to depend on him; he longs for each person to fully rely on him. The Bible teaches that God wants Christians to rely on him in such a way that they live their lives differently. The Bible teaches that God longs for people to live their lives relying on his help, his guidance, his power and his great love. Christians depend on God because they trust him. When Christians say they trust God they are saying they believe that what he says about himself, about his love, about what he has done and what he will do are all true. The Bible teaches that God loves people depending on him because people who depend on God trust him day after day after day.